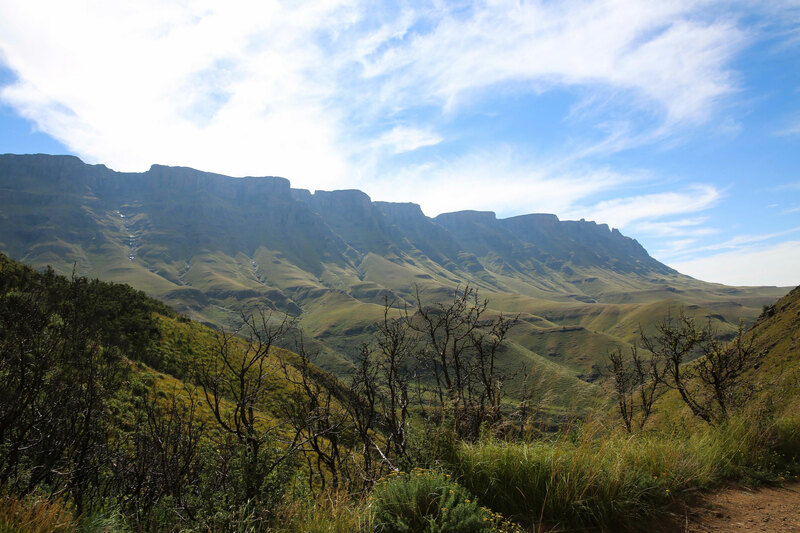 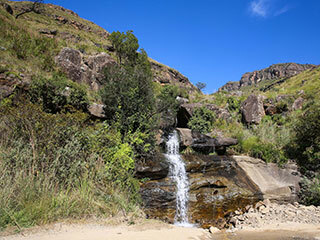 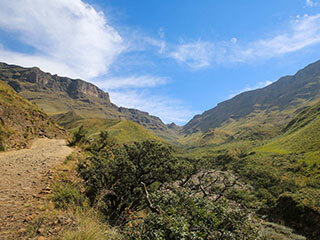 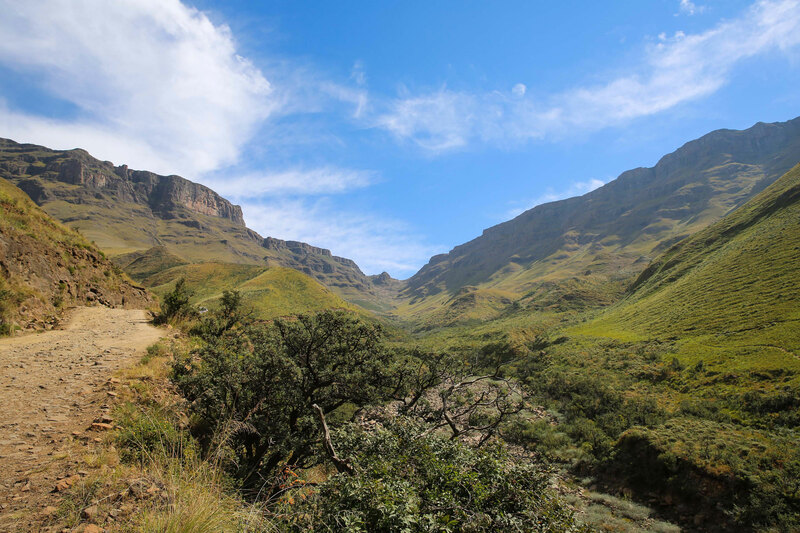 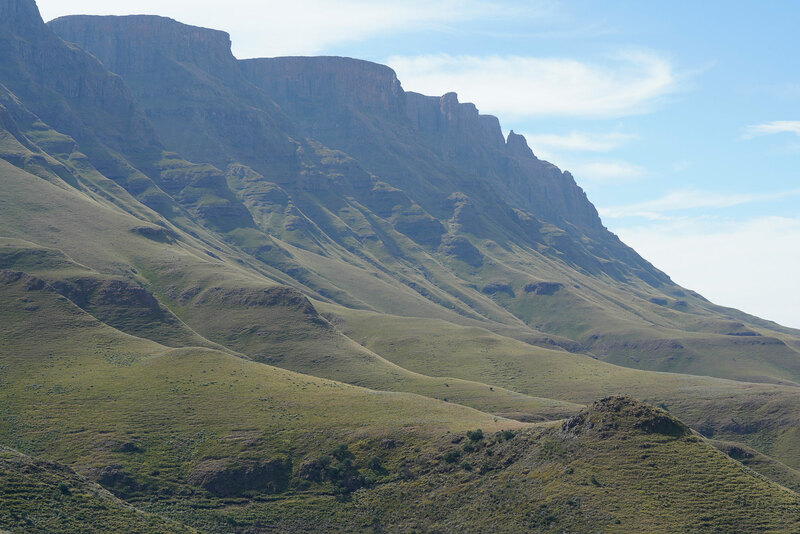 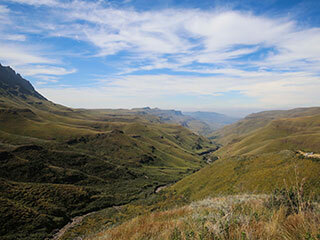 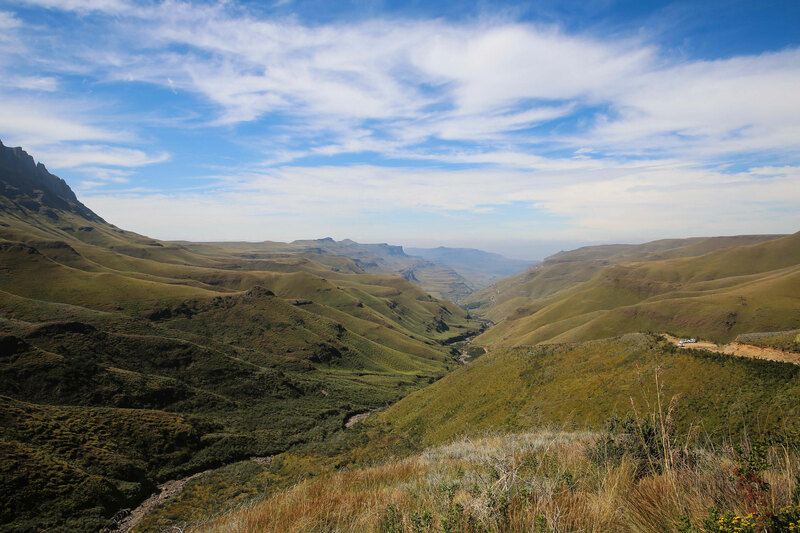 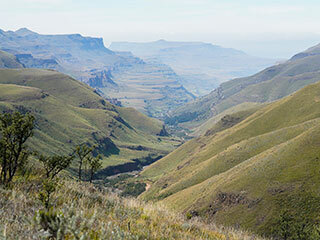 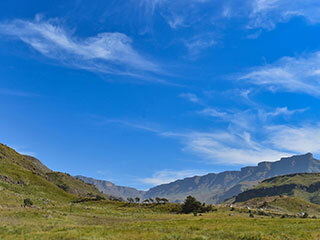 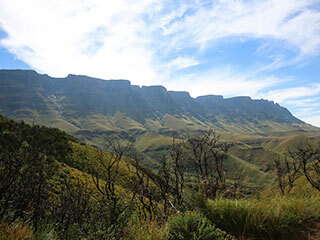 The Drakensberg is Southern Africa’s main mountain range, running along the border between South Africa and Lesotho. 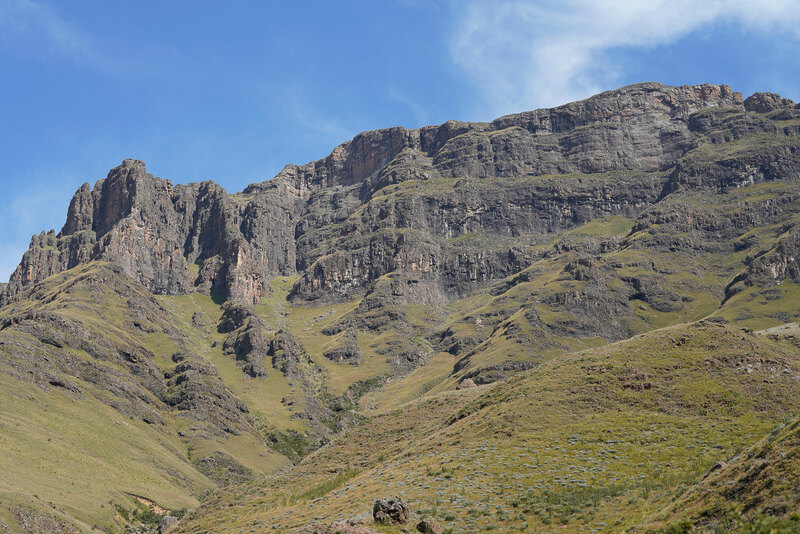 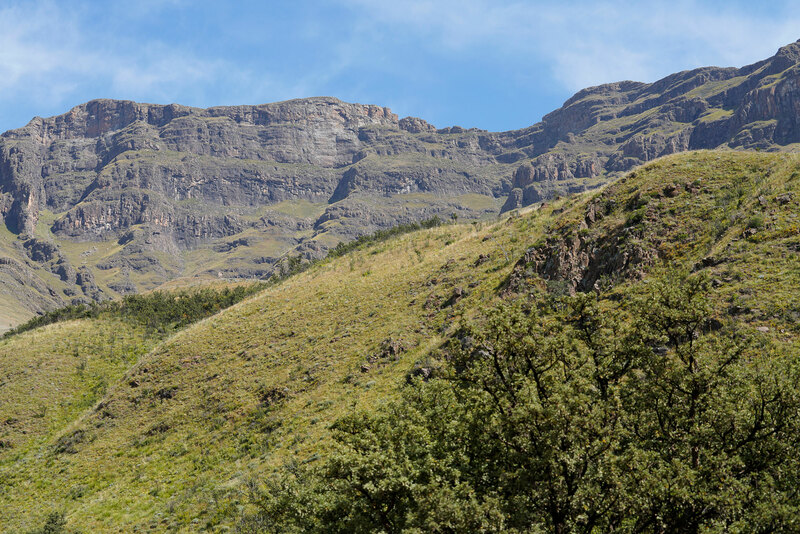 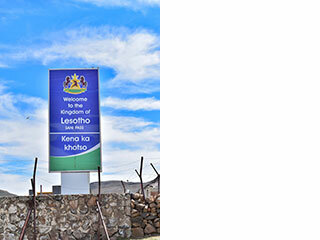 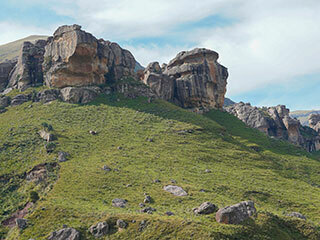 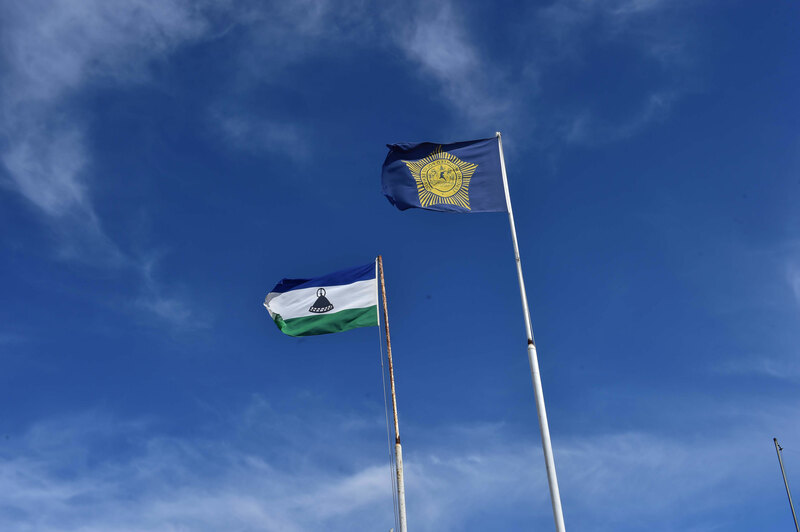 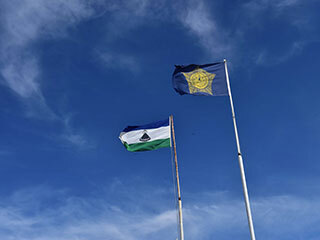 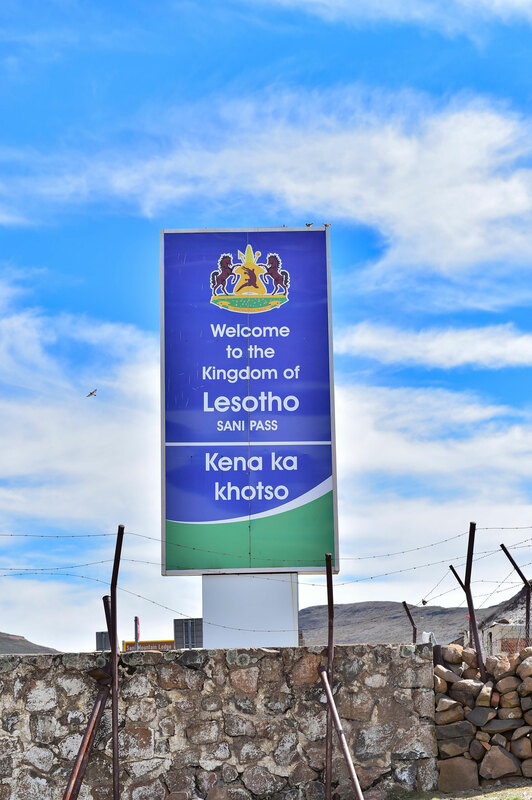 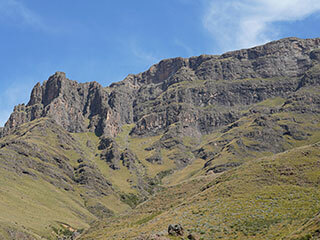 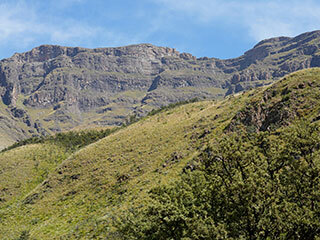 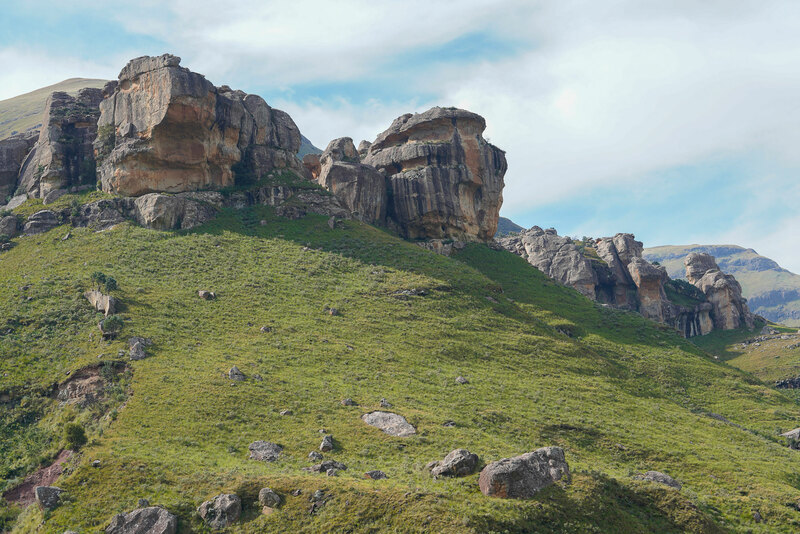 The highest peaks are in Lesotho, with Thabana Ntlenyana rising above the rest at 3,482 meters. 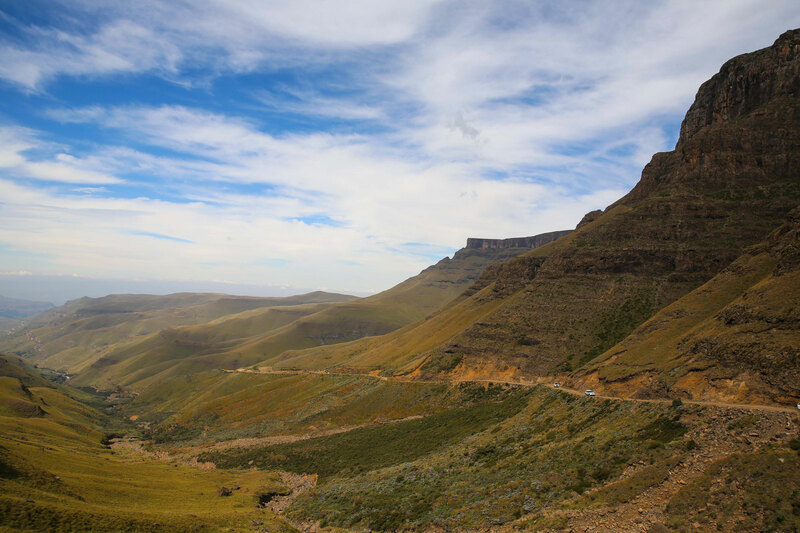 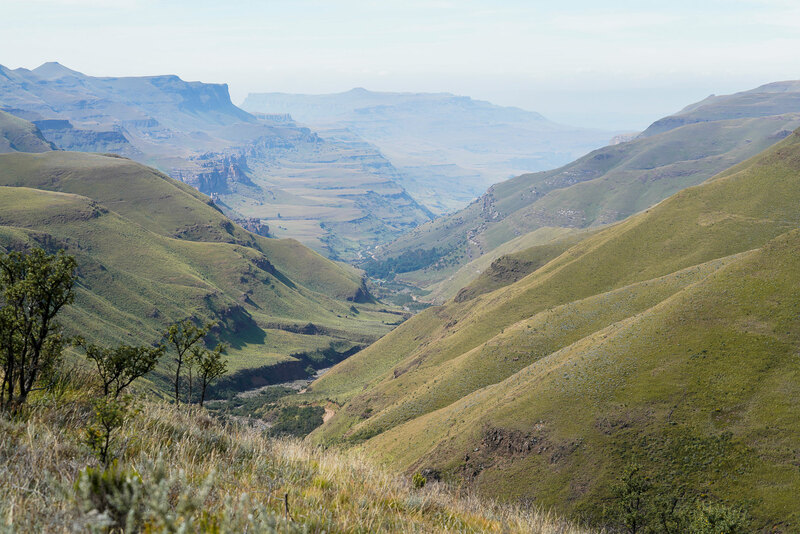 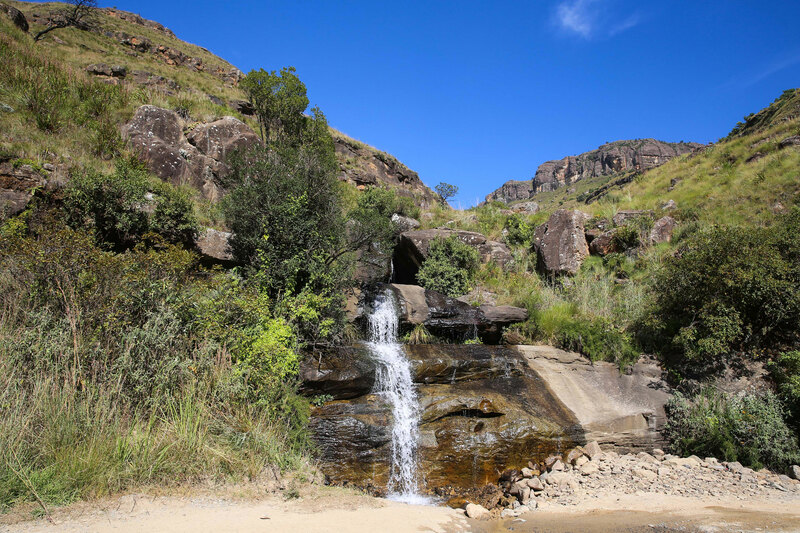 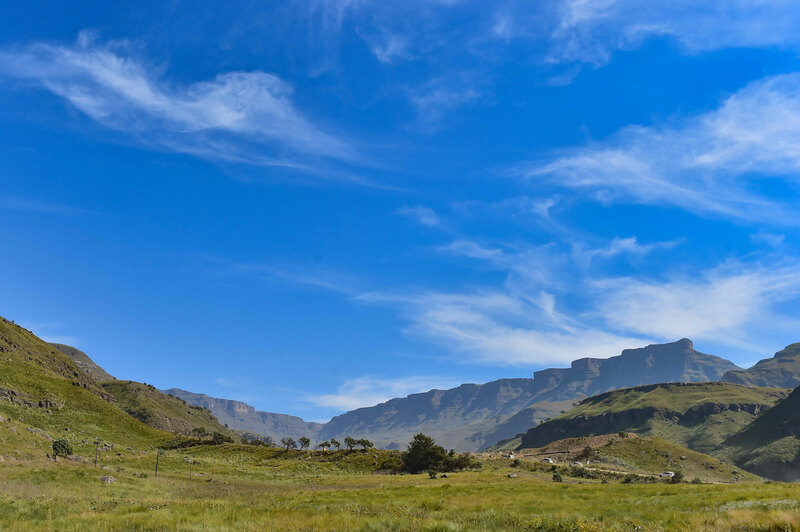 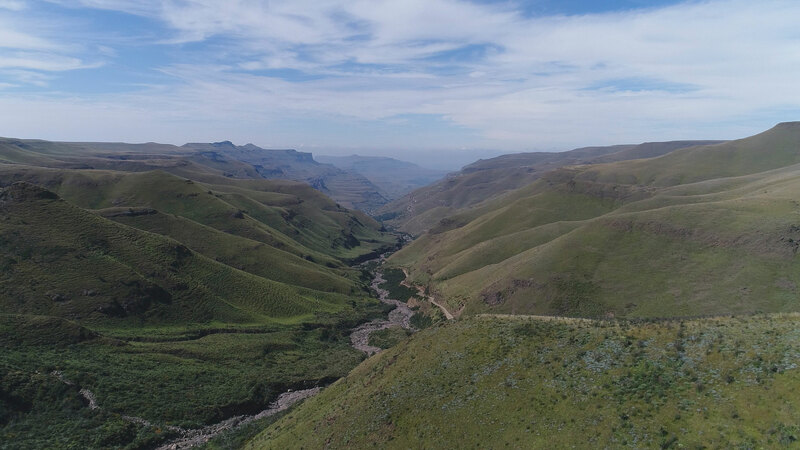 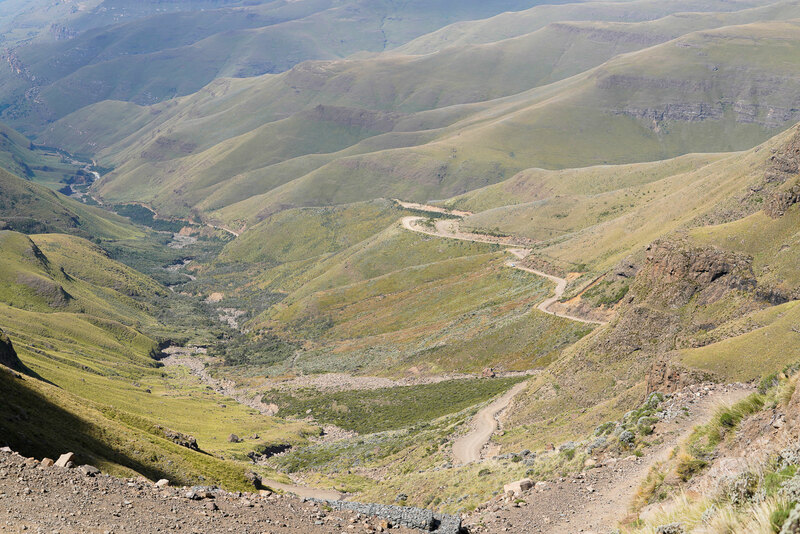 This chain is part of the Great Escarpment, which separates the Lesotho highlands from the lowlands nearer to South Africa’s coast. 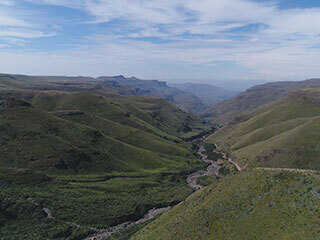 The Orange River traces its source to these mountains; there are also many game reserves and national parks around here, nestled in the deep valleys. 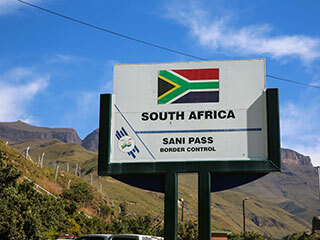 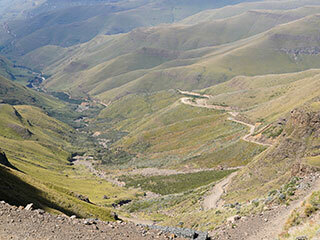 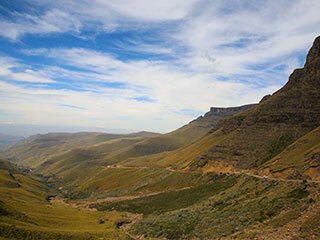 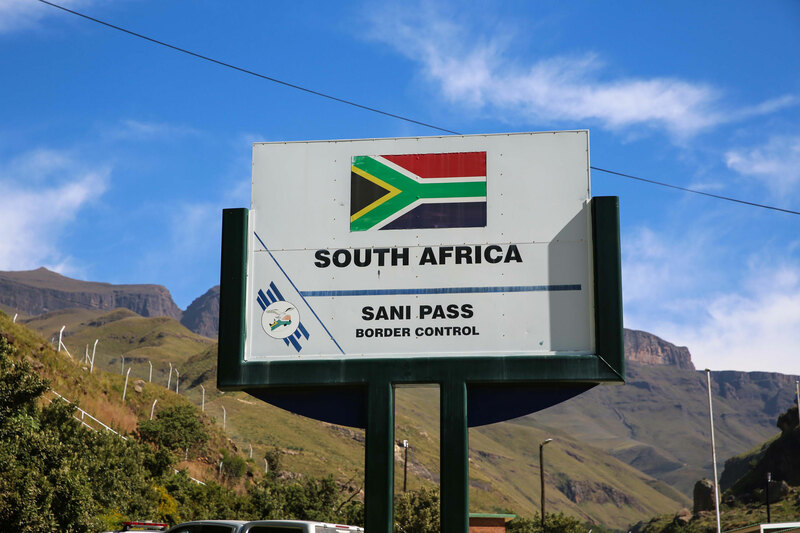 We began our approach to Sani Pass (2,876 m), which will take us back to South Africa. 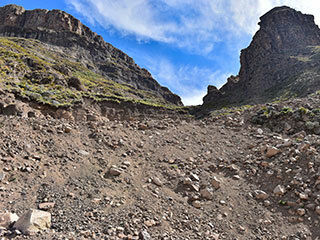 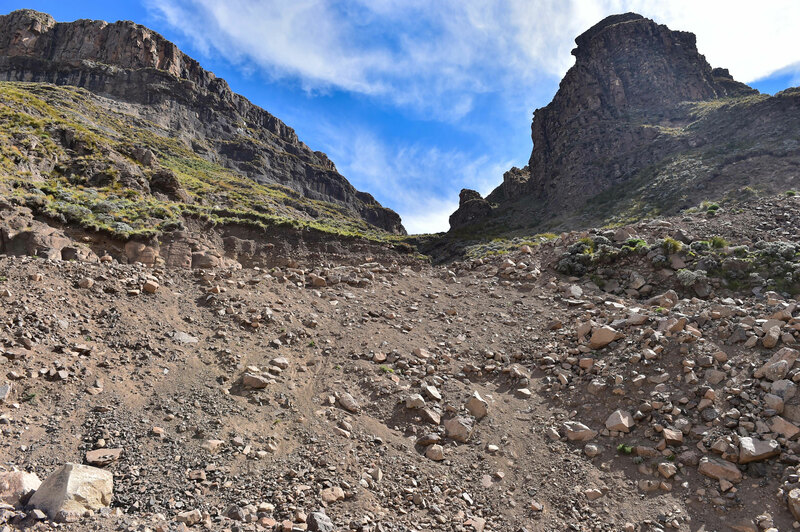 Once an old mule trail, this legendary pass is for rugged vehicles only—our tractors should be able to handle it!